Tropical water lilies are rather uncommon plants due to their environmental requirements, but those who are lucky enough to have a sufficient sized body of water that is maintained at proper temperatures are able to grow these beautiful plants. One of my favorites is the standard blue water lily, Nymphaea caerulea. These plants are not terribly cold tolerant (zone 10b, they cannot freeze) and require warm water and high nutrients to thrive; once established water lilies can grow at incredible rates. They require 1-6ft of water usually. 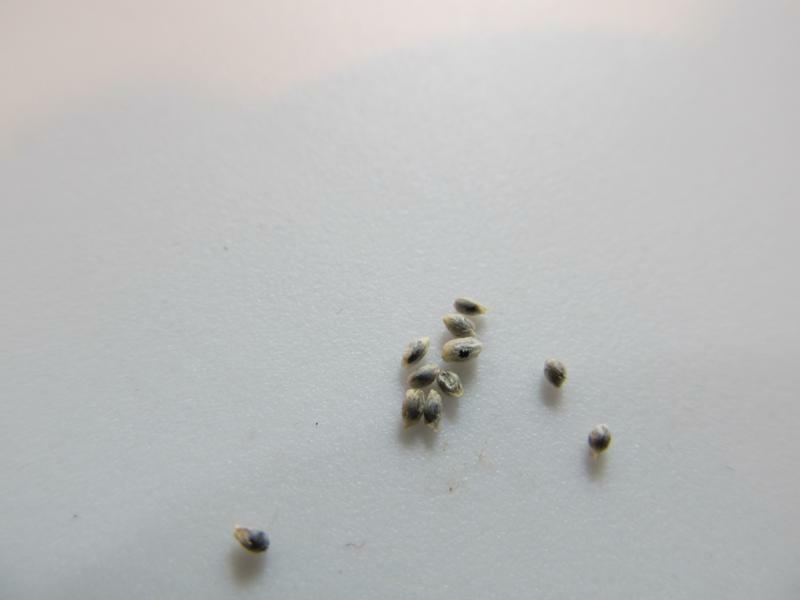 While the plants can get quite larger, the seeds are quite small and can be difficult to deal with at first. The first thing you want to do is start to set up your germination container and prepare your seeds. 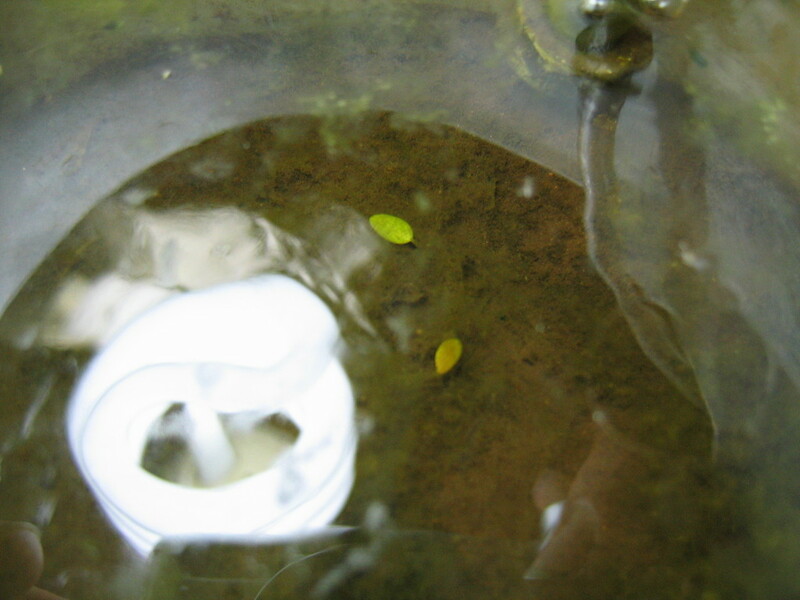 You can prepare the tiny seeds by soaking them for a day while your germination container settles out. 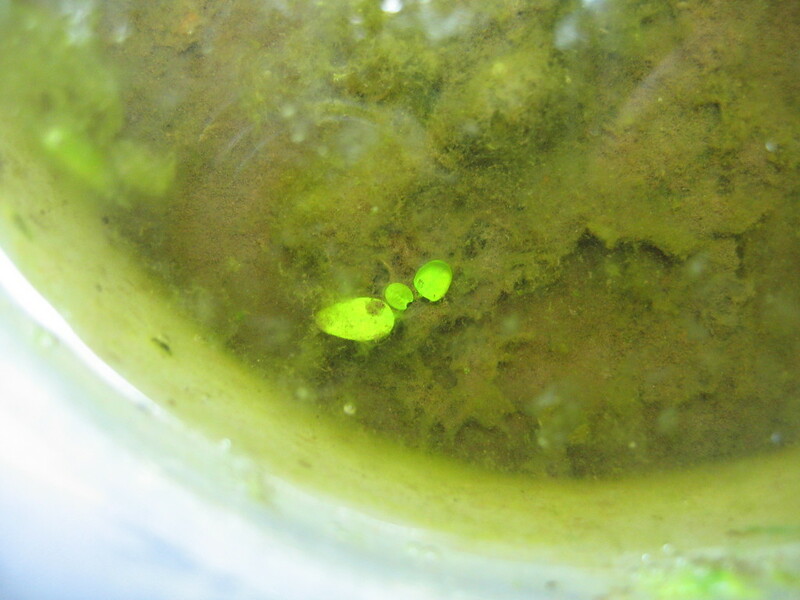 The seeds usually have a dried layer of mucilage on them that is remnant from the flower, and allows them to float off to germinate elsewhere. This layer can be easily removed after the seeds have been soaked for a while, simply get the seed between your fingers and rub it gently, if they then sink they are good to go. 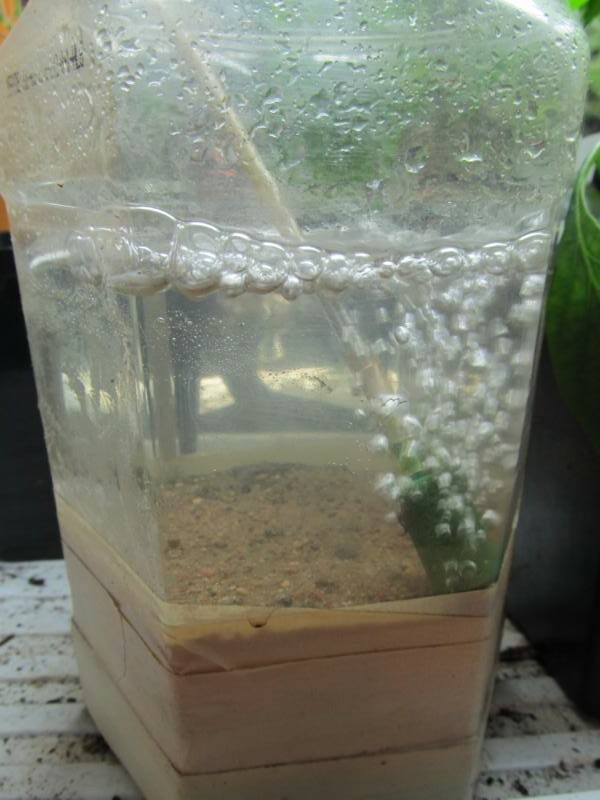 You want to find a sufficient sized container that is clear to germinate your seeds in. It should be able to hold about 3-4" of soil, and 4-6" of water. The mouth should be wide, and the diameter should be at least 6". The first time I germinated seeds I used the top of a 100cd stack thingy. This time I have a slightly different container. 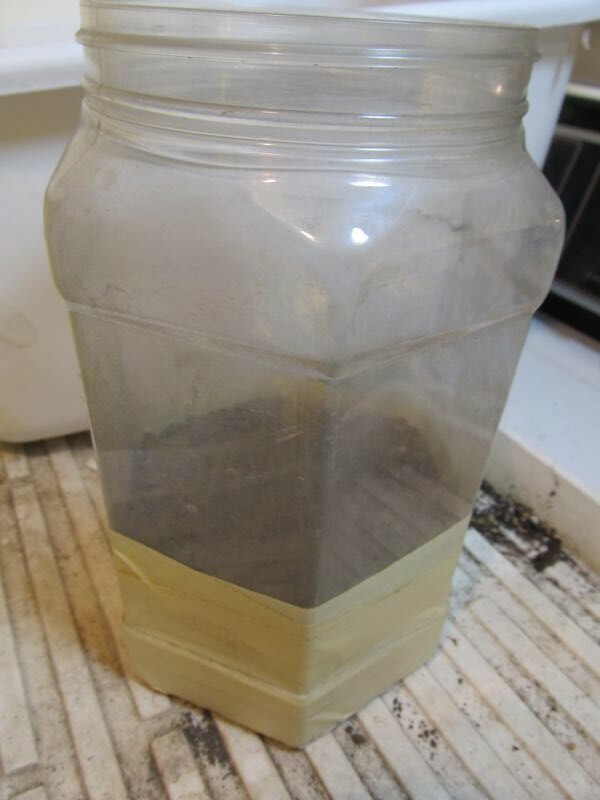 You want to block the light from reaching the soil, so I tape around the bottom of the container, and fill it up with some regular field soil or go find a local body of water and dig up some mud. 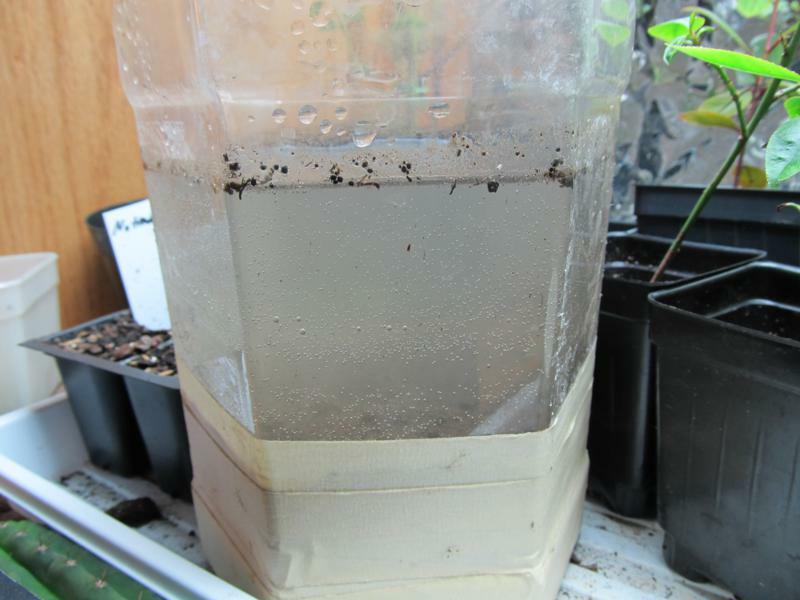 i prefer to start with dry, mostly sterile and sifter field soil. 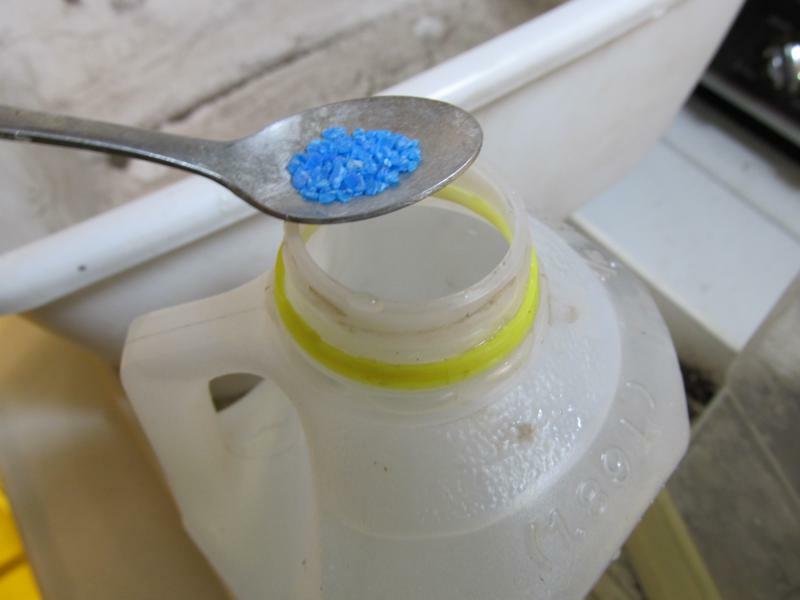 I also use reverse osmosis water, and I add a touch of copper sulfate algicide to prevent algal growth in the container. 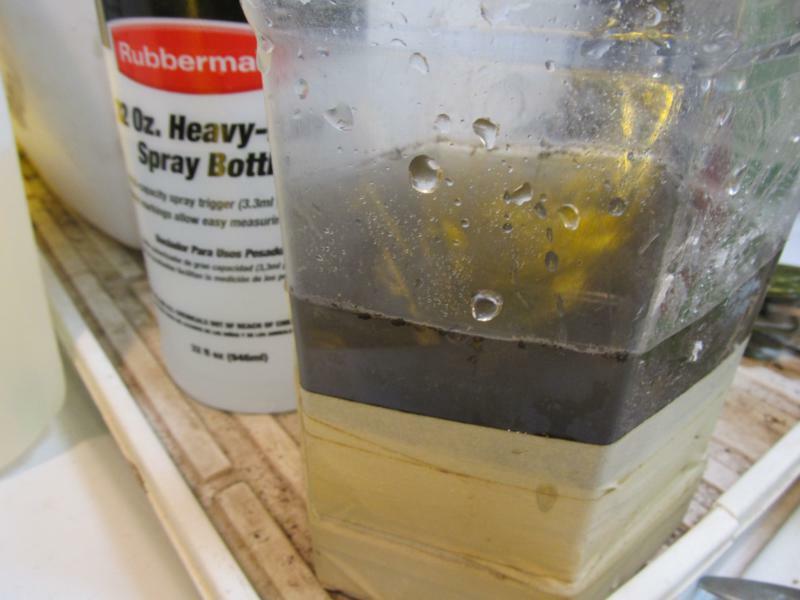 I use a spray bottle at first to begin to wet down the soil, by spraying the sides of the container. 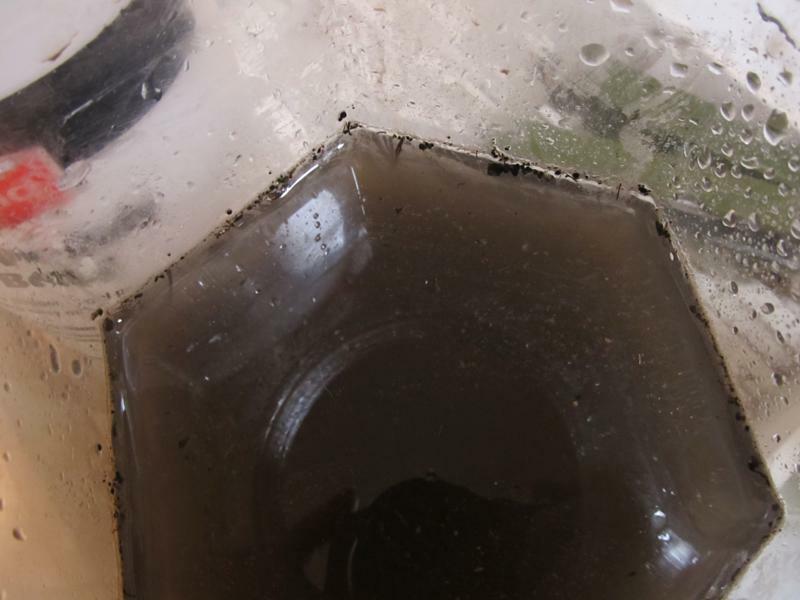 I fill it up a bit and allow the soil in the bottom to absorb water, and i usually poke it around a little to help it settle out and allow any material in the soil to float up to be filtered out. Then slowly add more water, trying not to kick up too much dirt into the water, or else it will take a while to settle out. 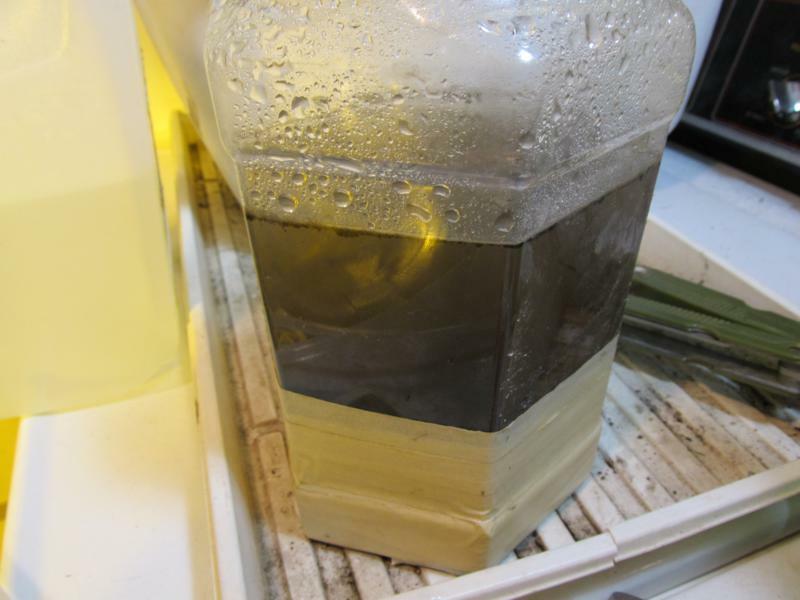 Then put the container on a heat mat or someplace warm under good light. 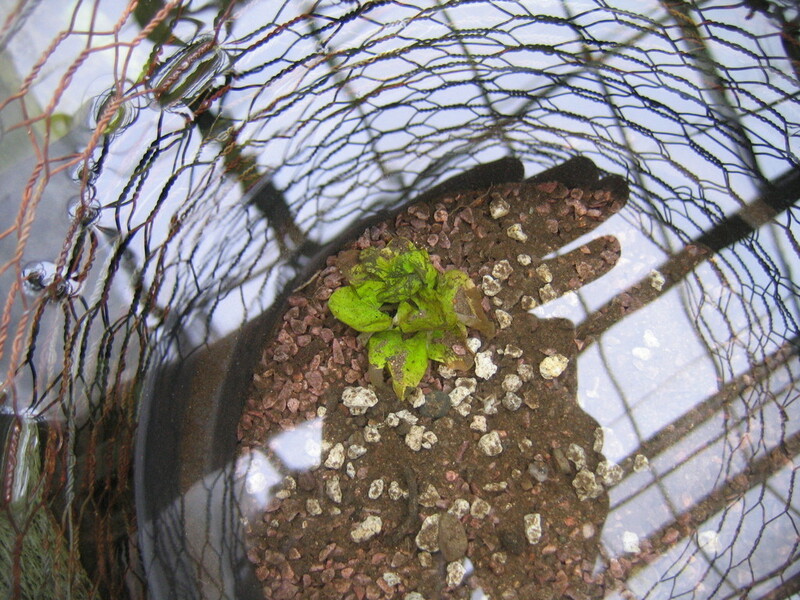 Once the soil all settles out and the water is clear, you can plant the seeds. 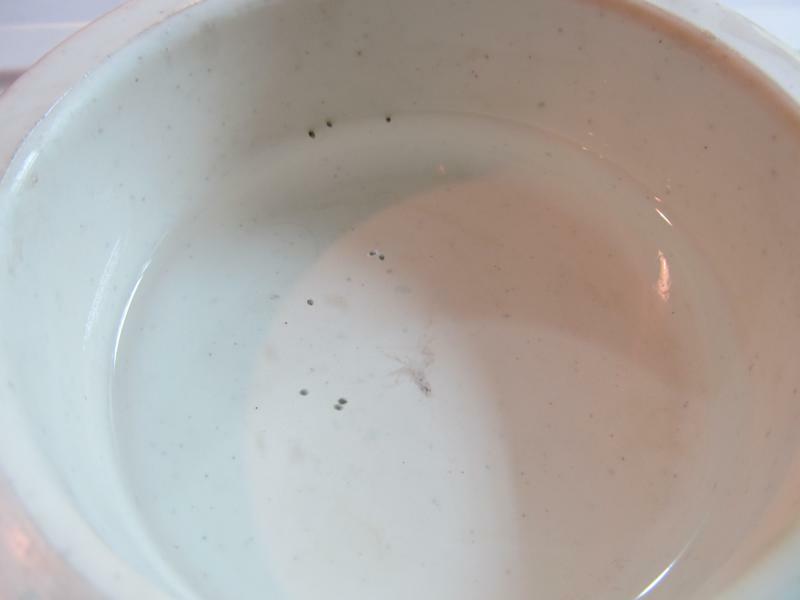 First strain off the floating particles and then carefully pluck the seeds out of the water dish they were in and drop them into the container. 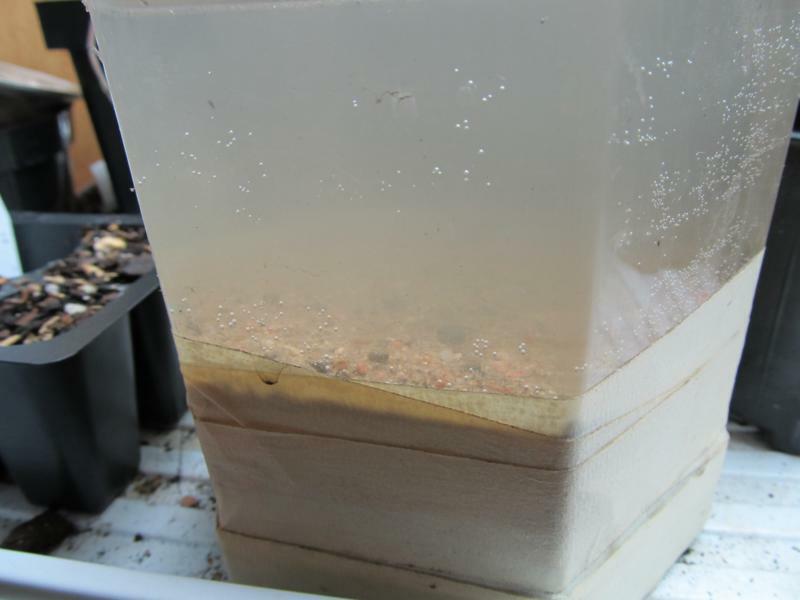 They should sink straight to the bottom, so spread out the seeds evenly around the container. Once the seeds have sunk and are laying on top of the soil layer, carefully add a thin layer of sand on top to help keep the seeds in place. The sand may have some dust or small particles in it if it is not washed, if the water clouds after adding the sand let it settle out again. Then add an air stone from a pump. With a small container an air pump on full will cause too much water movement and turbulence, so I use an adjuster or tie a knot in the air tube to limit the air that's pumped. The seeds will take 1-3 months to germinate. If they are very fresh they may germinate more easily. Keeping the temps up helps to increase their germination rate. Once they germinate you will see a single cotyledon which is oblong or subulate. The plant will then start growin a rosette and put out alternate and round leaves, the petiole will not elongate much. Once they get to be suffucient size they can be transplanted to a new container. Watch out for Koi! Crayfish also enjoy eating water lilies.